A forum of political parties in Osun state under the aegis of the Council of Political Parties with Integrity (CPPI) has issued a seven-day ultimatum to the Independent National Electoral Commission (INEC) to return the 'mandate' of the people and declare Sen. Ademola Adeleke of the People's Democratic party (PDP) as winner of the state governorship election. It could be recalled that the September 22 governorship election in state where Senator Ademola Adeleke scored a total votes of 254,698 as against APC candidate, Alhaji Gboyega Oyetola who scored a total votes of 254,345 was declared inconclusive by INEC due to cancellation of votes in seven units of which Thursday was taken for re-run. The Thursday rerun election where the candidate of the Peoples Democratic Party (PDP) Senator Ademola Adeleke scored a total votes of 255,023 as against All Progressives Congress, Gboyega Oyetola lead with total votes of 255,555 and was declared winner by INEC. The forum why reacting to the outcome of the September 22 gubernatorial election which was concluded on Thursday September 27 alleged that INEC connived with the ruling All Progressives Congress (APC) to subvert the will of the people by manipulating the election result. However, the CPPI threatened to embark on protest across the state if the electoral umpire fail to announce the cancellation of the rerun election and declare the candidate of the People's Democratic Party (PDP ), Senator Ademola Adeleke, winner of the poll. 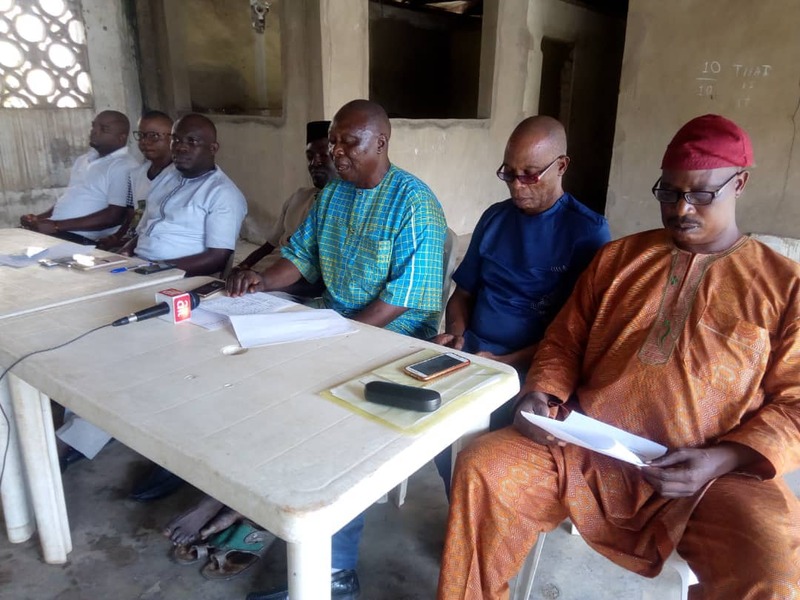 Speaking with journalists in Osogbo, the acting Chairman of CPPI, Tajudeen Osunrotimi, said they would leave no stone unturned to ensure that their "stolen mandate" is retrieved. Osunrotimi, who berated the conduct of INEC during the supplementary election, said the September 22 gubernatorial election was declared inconclusive in order to subvert the will of the people who gleefully trooped out to cast their vote for Adeleke. According to the Chairman, Nigeria Element Progresives Party (NEPP) "The council of political parties with Integrity at an emergency meeting in Osogbo Wednesday 3rd October 2018 expressed our mind at the turn of the event in the Osun state governorship election, particularly the decision of the INEC to declare the September 22, 2018 election in Osun state inconclusive as well as the wrongful and violent that marred the conduct of purported rerun." "We noted that, an electoral commission, in the 21 century, could be brazenly act the scripts of the ruling party in Nigeria (APC) to thwart the political expression of the electorate on the 22nd September polls and replace it with a violent and rigged rerun." "We note too, the shock and disbelief, across the world, which trailed the decision of INEC on that election." "It is therefore imperative that the decision of the people of Osun state electing Senator Ademola Adeleke as their Governor most be respected by INEC and federal government." "In the first instance, it is important to note that we unequivocally condemned the conduct of INEC even in the 22nd September election and that it was rigged by the collaboration of INEC." "We observed that the peaceful conduct of voters at the various units on the election was subverted by duplicity of the INEC in awarding unearned votes to ruling APC as the collation stage in the 22nd September election as well as the violent conduct of the rerun." "We are particularly objected to the conduct of Mr Segun Agbaje , the Resident Electoral Commissioner, Osun State INEC for his misdirection. Till date Mr Agbaje did not fix the ceiling of expenditure of political parties." "Mr Agbaje misinformed the populace that there should be no phone meanwhile, any person could carry his phone except into the voting cubicle." "Mr Agbaje together with his staff and the police looked the other side when the rerun was violently rigged . Mr Agbaje did not give some of the contesting political parties a copy of the signed result sheet of the election." ''We condemn the impunity with which the INEC conducted the election. Finally we demand for the cancellation of the violent rerun and that Ademola Adeleke be declared as the governor-elect." Echoing a similar view, the Chairman , Restoration Party (RP) Dr Tosin Odeyemi said it was quite unfortunate that the commission could go the extent of conniving with the APC to manipulate election result. Odeyemi who appealed to the INEC and the Federal Government to reverse their decision, said they should abstain from any action that is capable of setting the state on fire. He said: " we don't want Osun to be set on fire. The incumbent government is using its power to subvert the will of the people of Osun and this can cause crisis "
"We beseech Nigerians not to get tired to fight for their right. We are going to fight this course legally because we know we were being cheated. "The INEC connived to ruling party to upturn the victory to favour Gboyega Oyetola, the APC candidate, and we are not going to accept this from them."